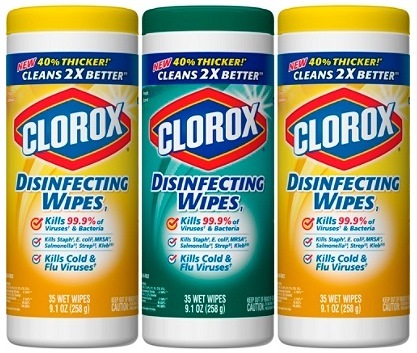 Clorox Disinfecting Wipes, Pack of 3 as low as $3.50! Office Depot has these Clorox Disinfecting Wipes, Pack of 3 for only $4.50 right now when you choose to Subscribe! Plus, you might see a pop up offer for an extra 20% off one item, which would make this just $3.50. That’s like paying just $1.20 each! Looking for more? Read more posts about Back To School Deals 2018 & Office Depot Deals. « Stainless Steel Vacuum Insulated Water Bottle for just $5.99!